We are delighted to present the newest addition to Digital Special Collections & Archive: The Memoirs of Arthur O’Neill (MS4/14/1). 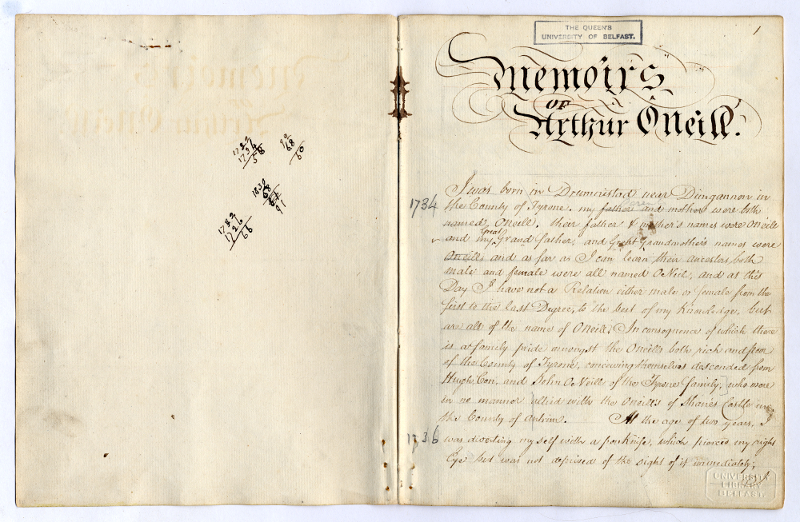 This document tells the remarkable story of Arthur O’Neill (c.1734-1816), one of the most skilled of the last itinerant Irish harpers. Dictated by the musician to clerk Tom Hughes, an employee of the McCracken family, and captured by him in swirling script, the memoirs contain colourful anecdotes from the Tyrone man’s life and travels and make a highly entertaining read. 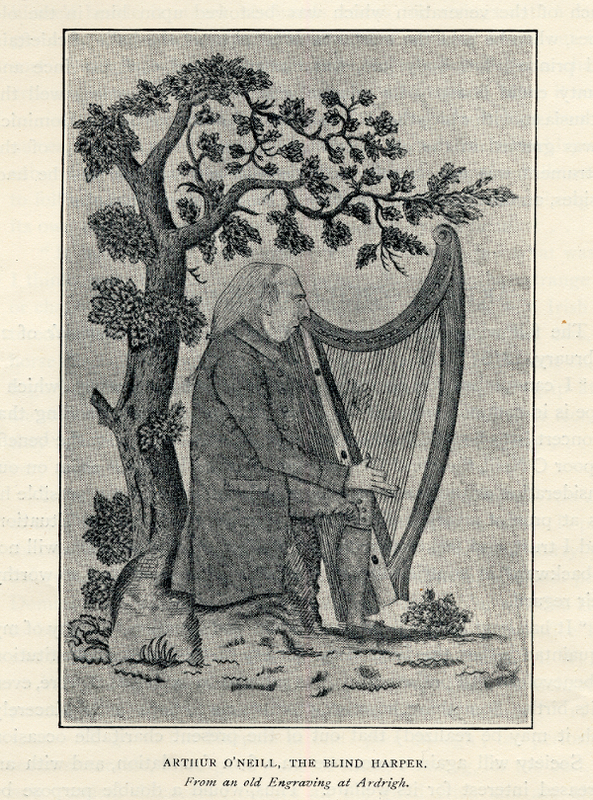 The document dates from the early 1800s and is a unique source on the social history of the harping tradition in the eighteenth century. The memoir itself is followed by biographies of prominent harpers of the day, and they are followed by the words of many dozens of songs. Born near Drumnastrade, near Dungannon in Co. Tyrone, O’Neill opens with an eye-opening statement of pedigree! We learn how as a young child he lost sight of both eyes through an incident with a pen knife, followed by some misguided medical intervention. Loss of sight was to lead him into occupation as itinerant harper. As explained in James McDonnell’s companion letter to the memoirs, “at that period almost all Harpers were blind, this profession having been humanely reserved as a Provision for the sons of reduced Gentlemen who happened to be blind, a calamity then much more common than at present owing to improvements in the treatment of small pox ”. McDonnell outlines the practice of such musicians to seek out various patrons, who might offer bed and board for some weeks or months in return for dining-room entertainment and perhaps tuition. Gratuities were given, and the harpist was treated “as a poor gentleman”. O’Neill made three tours of the country in his lifetime and the memoir is divided into three main sections which reflect this: first, second and third journeys. The first tour was the longest, lasting around ten years (c.1749-1760). He died on 29 October 1816 at Maydown, Co. Armagh, and is said to be buried in Eglish churchyard, Co. Tyrone. 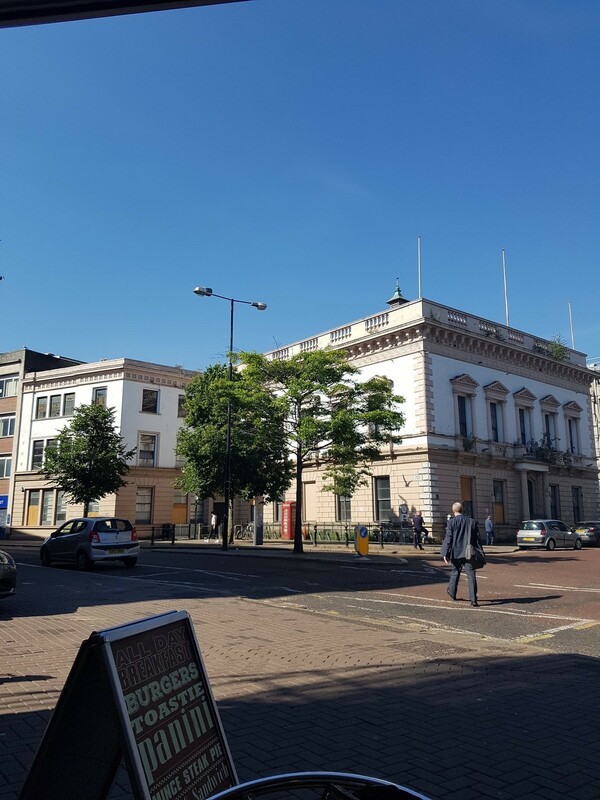 In 1792, O’Neill attended the Belfast Harp Festival at the Exchange and Assembly Rooms. 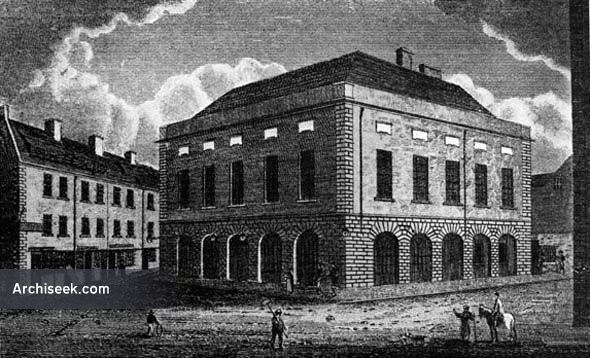 1769, Exchange and Assembly Rooms, Belfast, Co. Antrim. Image from archiseek. Exchange and Assembly Rooms today. Image courtesy A. Martire. This was a four-day event organised by Dr. James McDonnell (see more below), Robert Bradshaw and Henry Joy, (proprietor of the Belfast News-Letter and uncle to Henry Joy McCracken). Nineteen year old Edward Bunting was employed to transcribe the music of the harpists. The tradition of the ancient Gaelic harpists was dying out and the festival was an attempt to rejuvenate and preserve that tradition. 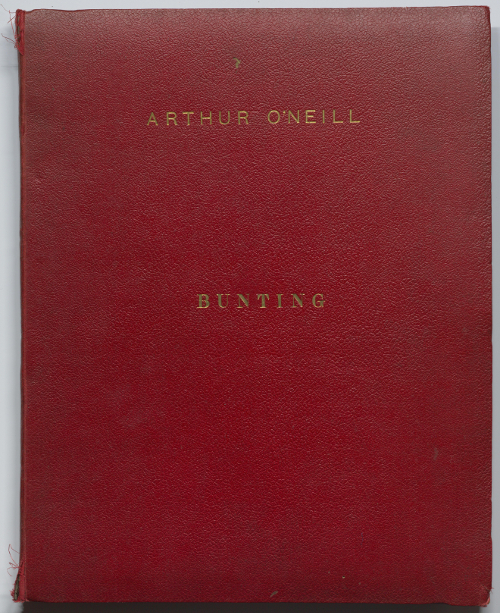 For Bunting it inspired a life long interest in collecting and arranging Irish folk music and song. Go to O’Neill’s account of the Festival in his memoirs, here. MS14/4/2 is a letter dated 1838, from Dr James McDonnell (1763-1845) addressed to Edward Bunting. At one point this had been “carefully pinned into the front of the stoutly-bound manuscript of the Memoir” (Milligan Fox, 1911, p.138), but is now held separately for preservation purposes. James McDonnell was a prominent figure in the cultural and civic life of Belfast in the late 18th and 19th centuries. An Bheal Uisce, Cushendall, Co Antrim. Arthur O’Neill lived here for two years, c.1778-1780, instructing the children in the harp. Photo courtesy M.Lennon. 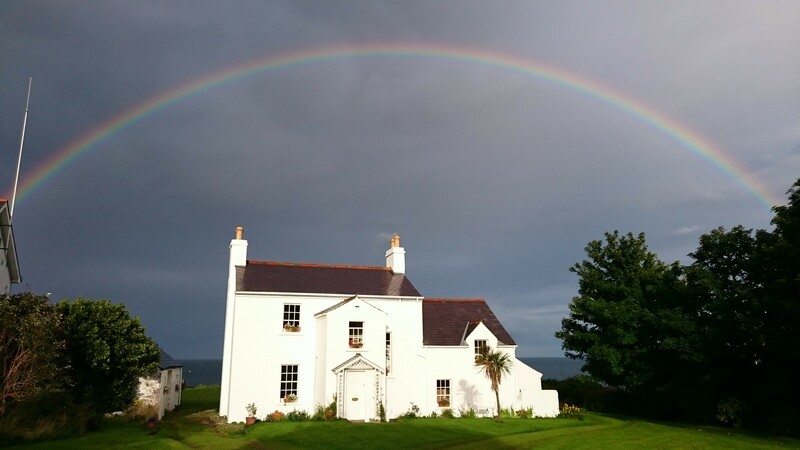 McDonnell had become acquainted with O’Neill in the years during which the harper lodged in the McDonnell family home in Cushendall, Co. Antrim. The digitised letter from Dr McDonnell to Bunting details the particulars of McDonnell’s acquaintance with O’Neill. The Memoirs belong to the Bunting Collection (MS4), the majority of which was donated to Queen’s Library in 1916 by Charlotte Milligan Fox (founder of the Irish Folk Song Society and sister of Alice Milligan). Milligan Fox acquired the materials in 1907 through an unexpected encounter in a in London harp shop and published much of the text contained in them (including correspondence, the journal of Patrick Lynch and the O’Neill memoirs) in her 1911 volume, Annals of the Irish Harpers. The majority of the collection then came to the Library of Queen’s University Belfast under the terms of the will of Milligan Fox in 1916. In 1917 the Library purchased a further selection of items from Lady Deane. Interestingly, MS4/14/1 is not the only copy of the memoirs in the Bunting Collection. In June 1917, a second document (MS4/46) also in the hand of clerk Tom Hughes, was purchased by the Library from Lady Deane, the granddaughter of Bunting. In the appendix to Sara C. Lanier’s 2013 edition of Annals of the Irish Harpers, the variant texts of the O’Neill memoirs are discussed. Lanier tells us that MS4/46 is the first rough draft, and was redrafted by Hughes at a later date, when it was extensively corrected by O’Neill, who dictated a series of revisions to Hughes. MS4/14/1 is therefore the second, revised version. MS4/46 is currently undergoing digitisation and will be made available online later this year. 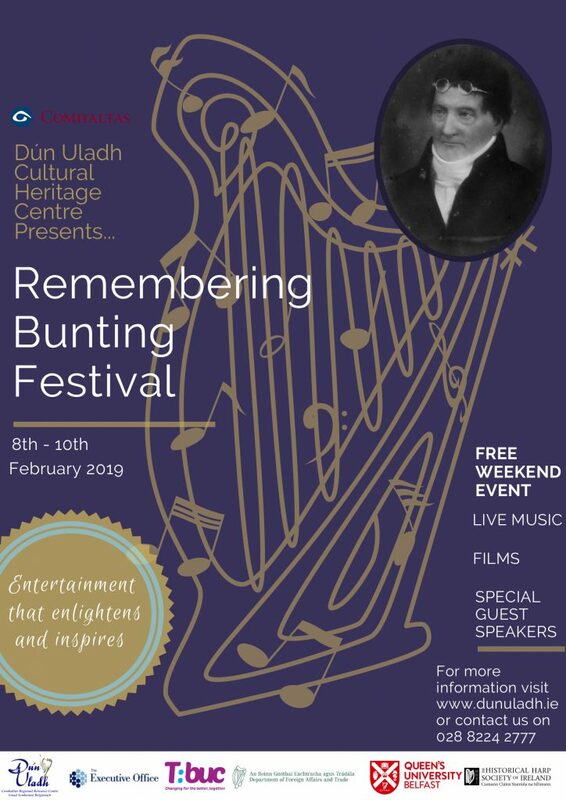 We are pleased to launch this digital resource as part of our participation in the Remembering Bunting Festival 2019,which celebrates the life and work of Edward Bunting. The programme for this year’s festival which runs from 8th-10th February, features an exciting range of musical events, talks and workshops. Our contribution to the festival is an exhibition and introduction to the Bunting Manuscripts. It will be held in the Special Collections Reading Room on Friday 8th February. Unique musical notebooks, Irish song books, letters and more will be on display. Learn about the rediscovery of the collection by Charlotte Milligan Fox and how it came to be in Queen’s University. The event is free but please contact us for booking. The weekend includes many performances and talks, several of which are being hosted by QUB Music. Discover more about the Bunting Collection and access the manuscript collection listing via RASCAL. Browse a selection of other items from the Bunting Collection on Digital Special Collections & Archives. See also our recent blog post on the Journal of Patrick Lynch. If you would like to consult this collection, please contact us. Special Collections is open to anyone who wishes to make use of our resources. Information on access for QUB card holders and visitors is available on our web pages.